Radical organization launches campaign to convince soldiers protecting Gaza border not to open fire. 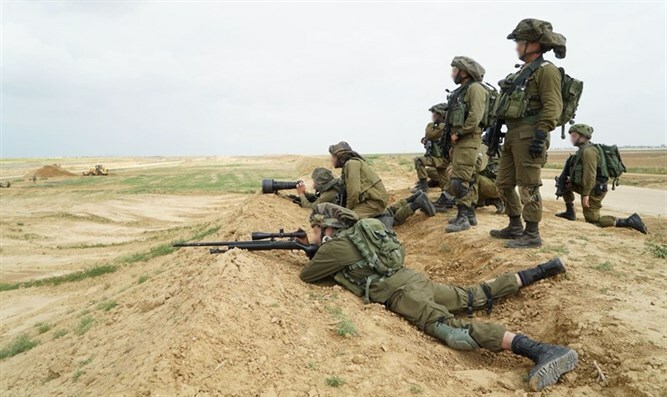 The radical left-wing organization B'Tselem is launching a new campaign calling on IDF soldiers stationed on the Gaza Strip border to refuse orders and not to open fire at Arabs who riot in Gaza and are unarmed. The poster accompanying the campaign read: "Sorry, sir, I am not shooting." As a message to the soldiers it was written that "the use of lethal force is permitted only in situations of real and immediate danger to human life, in the absence of any other choice." "Contrary to what is implied by the statements of senior officers in the army and of ministers in the government, the army is not allowed to do as it pleases and Israel does not itself determine what is permitted and what is forbidden in dealing with demonstrators," the extreme left organization claims. "Israel, like any other country in the world, is subject to international law, which restricts the use of weapons in general and live ammunition in particular," added B'Tselem. "Israel may not decide on its own that these rules do not apply to it."